Nelda Faye Jones Lockley, 84, passed away on Sunday May 25, 2014 at a local nursing facility. A funeral service will be held at 2:00pm Wednesday May 28, 2014 at the Tuscola United Methodist Church, Charles Dunnam and Ryan Goodwin officiating, burial will follow in Potosi Cemetery, directed by Fry~Bartlett Funeral Home, Tuscola. A visitation will be held on Tuesday from 7:00 to 8:30pm at the funeral home. Nelda was born on the Jones family farm in Tuscola, on March 5, 1930 to Marvin and Linnie (Whatley) Jones. She attended school in Tuscola and graduated in 1947 as salutatorian. At age 14 she went to work, starting at Camp Barkeley. Later she worked at Timex, managed various departments in the grocery industry, retail sales, and then was one of the proprietors of The Homeplace Restaurant in Tuscola. Nelda married Lonnie Lockley in Tuscola on November 22, 1947. They settled in Potosi then moved to Tuscola. Nelda first and foremost loved her family, gardening, sewing, and serving others by taking food to those in need, and no one went hungry with Nelda around. Nelda and her daughter Lynne had a dream to honor Nelda's mother Linnie, by opening The Homeplace Restaurant, on the site of the family's original farm house. Her specialty at the restaurant was making deserts. Nelda and her sister, Veda, were known as the "Apple Dumpling Gang" because of the outstand deserts they made from scratch. 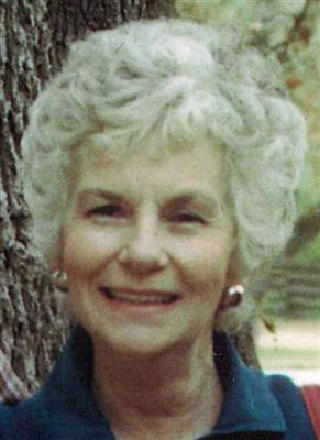 She is survived by her twin daughters, Gwynne Rogers of Tuscola, and Lynne Keys and husband Bill of Tuscola; grandchildren Eric Rogers, Cindy Keys Tucker and husband Mark, Kristi Rogers Stillings and husband John; great-grandchildren Nicole Rogers Beatty, Ashlyn Tucker, Luke Tucker, and Ruby Stillings. She was preceded in death by her parents, husband Lonnie Lockley, son in law Ken Rogers, brothers Garland, Rex, Wastelle, and Burl Jones, sisters Modelle Powell and Veda Bynum. Pallbearers for Nelda are Eric Rogers, Mark Tucker, John Stillings, Bill Keys, Jerry Blanchard, Guin (Flip) Hunter. Honorary Pallbearers are Cleve Powell and Gary Jones. Memorials can be made to the Tuscola United Methodist Church, 734 Garza, Tuscola, Tx 79562.